I tend to scoff whenever I hear the term "pearly whites". I don't know about you, but I don't think I would actually describe my teeth as white. When I cut out coffee and use whitening toothpaste, they can become "whiter", but never actual white. They say that a smile is contagious, but I think that part of that has to do with the dazzle of the smile itself. I tried whitening strips before, but they tasted awful, were kind of slimy and gross, my teeth were really sensitive after, and the bleach burned my gums. With this in mind, I was instantly impressed about how easy and personalized Smile Brilliant's process was. With custom teeth trays that are crafted by dental technicians, you don't need to visit a professional with a hefty $500+ price tag. You get convenience, comfort, and great results right from home! 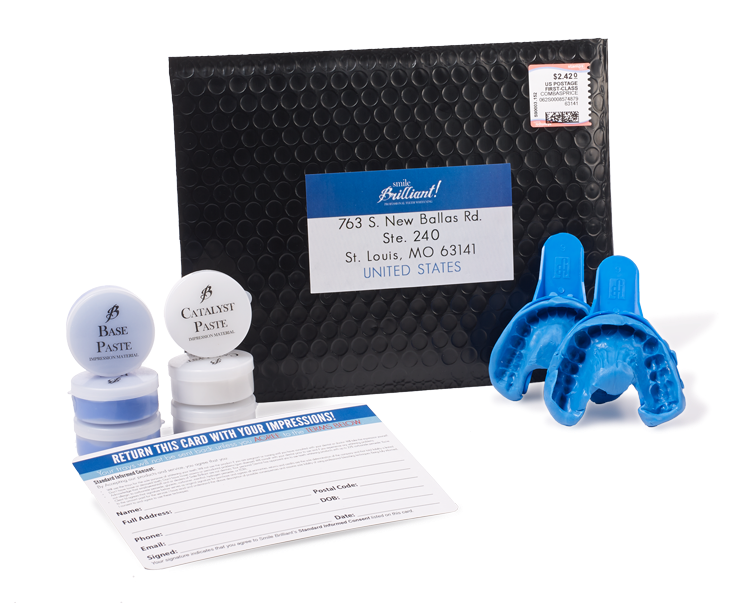 Step 1: With your pre-paid postage envelope, send your teeth impressions back to Smile Brilliant with their molding kit. A few days after, you'll receive your custom-fit teeth trays that are tailored to your mouth only. Step 2: With the syringes provided, add teeth whitening gel to your tray. Step 3: Wear your tray for at least 45 minutes. 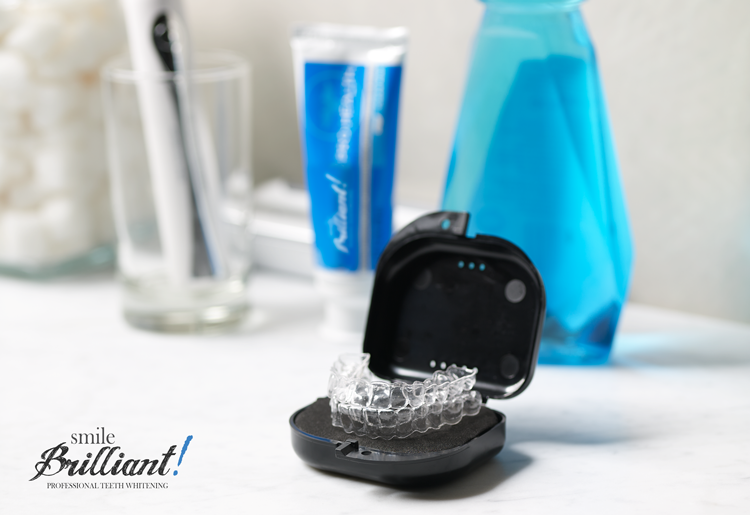 Smile Brilliant says that wearing the tray for 3 hours provides maximum results. Your teeth don't get any brighter from wearing it for longer than 3 hours, so don't worry, you can't accidentally end up with a freakishly bright smile that glows under a blacklight (à la Ross). Bonus: When you put the whitening gels in the fridge, they have a shelf life of 2 years, so you could even save your gel to make sure that you have white teeth for special occasions. 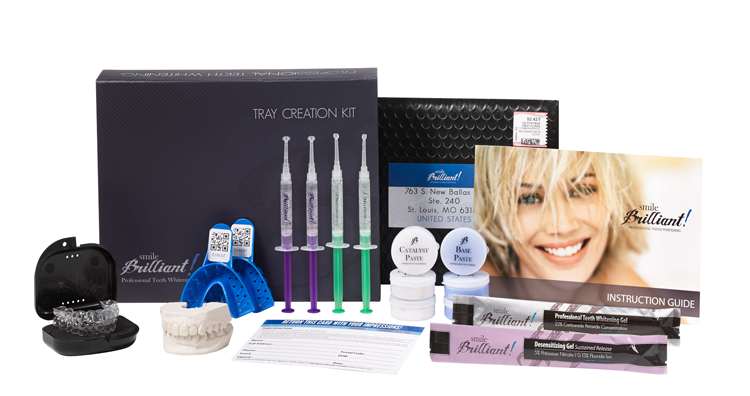 Want whiter teeth and a more stunning smile? Now's your chance! 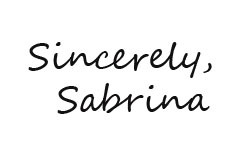 Just leave your name and email in this form and follow me @sincerelysab or on bloglovin'. Contest closes on May 14. It's open internationally, but prepaid postage for custom impressions is only available to US residents. I don't always wage war against a company, but when I do, it's over a pair of shoes. You know that feeling when you ho and hum over something you kinda want, then come back to it and it's gone? I experienced that last weekend. Except that it wasn't my fault. I swear. 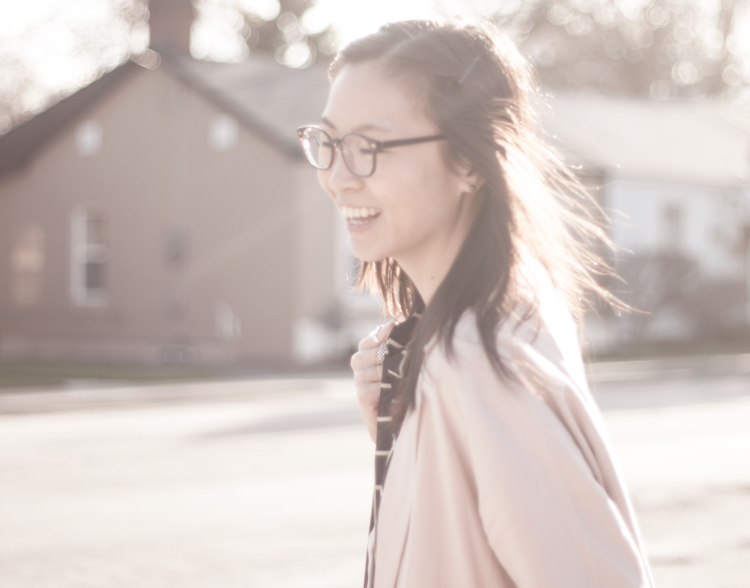 So here's my story. I've been hunting for a pair of comfortable low heels for months now to wear to a wedding I'll be attending in May. Long, long story short, The Bay's website was having technical issues in 3 different places. I'm less irate when people own up to an issue. But when two customer service reps don't believe me, that's when the gloves come off. I swear I'm usually not this insane, but when a company keeps saying "we'll call you" and never does, I have no choice but to call them. Every other day. What, I wanted to make sure that I got my cheap comfortable shoes on time! After today, I kind of felt like I was in one of those stereotypical relationship situations. They say they'll call, they don't, and I'm left wondering if it seems too needy and desperate if I'm the one to call. Oh good grief, is this what awkward dating is like? Anyway, after a week-long battle and over 60 collective minutes of being on hold, my heels are being shipped to me. I win. I was bored the other day and went shopping in the spare closet. You know the one -- it's rarely opened, used to store the stuff that you don't really need/use but hold on to because you might need it someday. In my house, this closet holds clothes. And I found skirts! 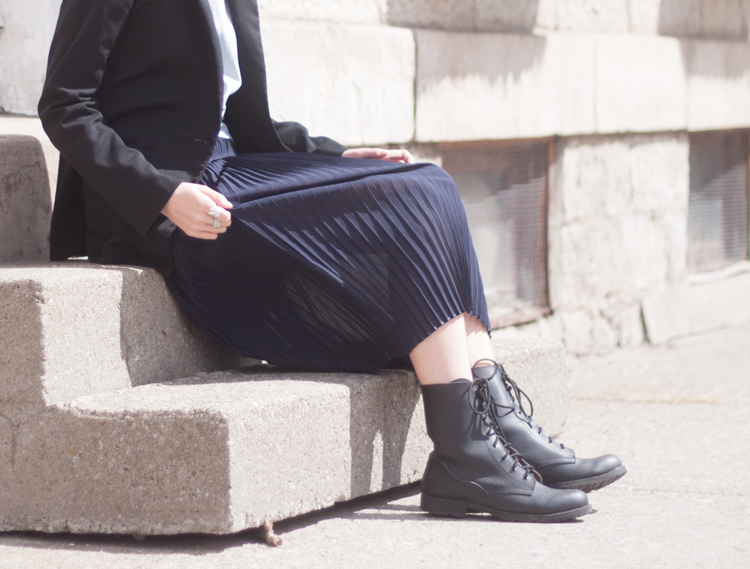 Specifically, this twill skirt that I've finally taken a liking to now that I value work clothes. The skirt (and every other skirt on the hanger) was my mom's from the 90's. Gotta say, it makes me feel kind of old sometimes that we're at a point in time where a decade that I grew up in has actually cycled back to become trendy again. But the benefit of being a mild packrat is that I don't have to buy anything to be on trend this season. 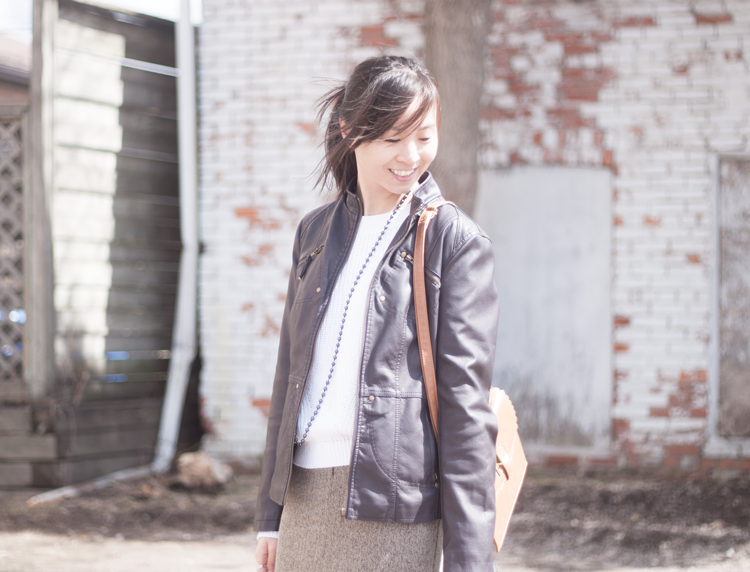 Hello, long jackets with shoulder pads! 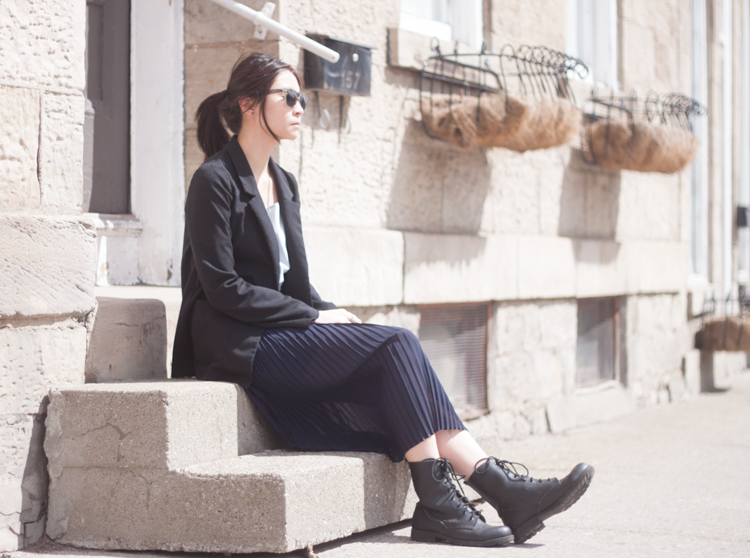 Yes to midi skirts!